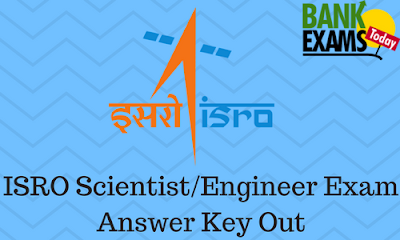 Indian Space Research Organization(ISRO) has come up with the answer key for Scientist/Engineer 2017 exam that was held on 17th December 2017. Click Here to download Answer Key(Computer Science). Click Here to download Answer Key(Electronics). Click Here to download Answer Key(Mechanical). Click Here to raise objections to answer keys.